Ashley, my mother had narcolepsy, verified by sleep test, and I could tick off her symptoms as you describe yours. It sounds like something she would have written. Of course that’s not diagnostic, but I will tell you she had a pretty good quality of life and a career and she trained us kids to look after her in case she had an attack in public (which did not happen much), and she had fewer than the average number of car accidents. 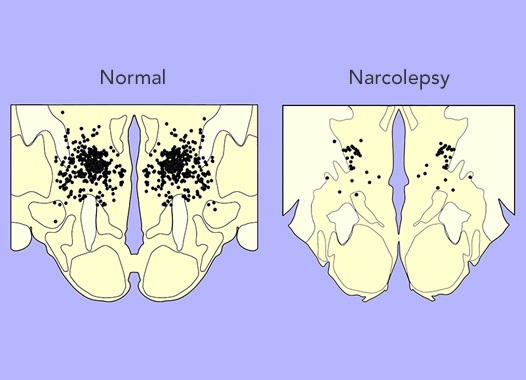 Another factor that doctors sometimes miss is that narcolepsy is partly genetic; my family has a history of autoimmune disorders. None of us kids have narcolepsy, but one of my brothers had vasculitis, the other has both diabetes and rheumatoid arthritis, I had an unexplained bout of uveitis for which I was tested for every autoimmune disorder imaginable (thankfully nothing at a clinical level). My grandmother had unexplained joint pain, depression, and “nerves” that could easily have been autoimmune. Look to your family medical history to see whether anyone else has a reputation for being “lazy” (because of sleepiness), or arthritic, or diabetic, or otherwise having a suspicious illness. I do have the SNS markers associated with narcolepsy, but my living family is remarkably healthy and those that are dead all were healthy until they got cancer. My mother gets migraines and I have an aunt with celiac disease, but I don’t have that and have no genetic markers for it either. Other than that, no one else even has allergies. In my immediate family, my mother, brother, and father all work 60+ hours a week and are super go-getters. Incidentally, none of them have red hair and pale skin either. It could just be that I have a genetic predisposition and I got a virus that set the thing off and they never have. I got chicken pox when I was only a month old followed by a series of ear infections — so I ended up having a lot of antibiotics and illnesses as a baby — it’s the only really different factor between me and everyone else in my family, I’m guessing it tripped something up in my autoimmune response. Low Vitamin D is one of they symptoms? I recently had bloodwork done and my doctor brought up that my Vit D levels are much lower than expected for a woman my age… and this despite the fact that I outright guzzle milk. I can go through a gallon in a day, easily. I’m pretty sure I have sleep apnea, but now I wonder if I should look into narcolepsy. I dream instantly. If I fall asleep for even 15 minutes, I will have dreams. I’m so used to my ‘nightmares’ that they aren’t even nightmares anymore. Oh, I was murdered again in my dream? Yawn. Whatever. I have depression, but that runs in my family. I have brain fog, but I also have severe ADHD. I’m constantly snacking, and sometimes that’s the only way I can drive home safely (like tonight is going to be a eat-to-get-home night because I was dozing off here at work). A lot of the symptoms are also the result of chronic sleep deprivation, so if your sleep apnea is not controlled, it can cause a lot of similar symptoms. That said, sleep problems are often co-morbid, but sleep apnea is the much more common of the two — if you get a sleep study and they discover apnea, they’ll pretty much insist on treating that before deciding whether you’ve got narcolepsy. That said, you should definitely get a sleep study because all those things can be the result of bad sleep, regardless of why the sleep is bad.